The DEA is preventing doctors at veteran’s hospitals from recommending medical marijuana to patients — even in the 14 states where medical marijuana is legal. 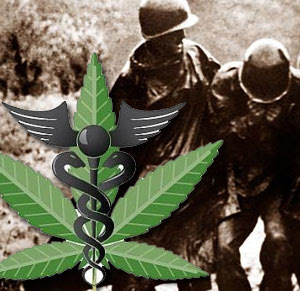 The Veterans Administration is taking advice from the DEA based on the federal government’s assertion that marijuana has no medicinal value. This especially tragic because of the widespread evidence that marijuana is a safe and effective treatment for post traumatic stress disorder which is all too common among our veterans. In fact, in New Mexico for example, PTSD is the most common affliction for patients enrolled in the state’s strictly regulated medical marijuana program. But veterans who could benefit from medical marijuana, regardless of the legality in their own states, have to go outside the VA system and find new doctors just to learn about and try a potentially helpful medicine. Sign this petition and tell the Obama administration that our veterans deserve better. They deserve to have doctors who practice medicine, not politics. Denny Chapin is the Managing Editor of AllTreatment.com, a directory of drug rehab centers and resource for substance abuse information. He has written for other blogs like Drug WarRant and Morning Donut. Treatment for addiction to a physically addictive drug, like heroin or alcohol, are often two pronged: first is the use of replacement drugs (replacement therapy) to prevent major withdrawal while giving the patient a drug that is technically "safer" (Methadone for heroin), and second is aversion therapy, where drugs are used to actually produce displeasing, painful side effects when an addict uses their drug of choice. A replacement drug to heroin is methadone, which helps a patient reduce intense opiate withdrawal symptoms while preventing them from getting "high" which in turn helps an addict break the addiction towards that high. An aversion drug to heroin is naltrexone which will literally make a heroin user or alcoholic sick if they consume their drug of choice. Modern addiction treatment for depressants like alcohol and heroin use a combination of pharmalogical and behavioral therapies to encourage a sober, clearer perspective on life. And while these therapies do help many people get off and completely quit using heroin, there are serious negatives associated with replacement therapy and aversion therapy. First is the simple truth that methadone still effects a patient's opioid receptors in the same way as heroin without causing the elation, meaning a recovering addict is still dependent on drugs, just less pleasing drugs. Methadone is often sold illegally to other addicts at a high market price, whereupon the addict who has sold their medication needs another form of opiate, often relapsing back to heroin. And aversion therapies are so unpleasant that patients oftentimes discontinue the use of these drugs to avoid the side-effects they inevitably experience when relapsing. Both treatments are better than no treatment, but are far from a perfect solution, and until recently, these treatments were the only major treatments the medical field had knowledge about. Recently, however, the medical community has been learning about a new form of pharmacological treatment that comes from the root of an African plant called "Ibogaine". Ibogaine is considered a psychedelic drug, closest to the tryptamine in its chemical composition, which has seen a lot of study for its use in treating opioid withdrawal symptoms in heroin addicts. Instead of binding to opioid receptors like methadone, ibogaine acts as a 'reset switch' of the neural pathways effected by substance abuse, returning the body's natural chemical levels to normal. Administration of ibogaine is significantly different than any other treatment chemical because it produces noticeable hallucinations during the beginning of the experience, usually ending four hours after administration. These effects mimic other tryptamine drugs like DMT or Psilocybin, and are often considered dream-like and can be very intense and disturbing--this is the main reason why Ibogaine isn't used recreationally, as most users find the hallucinations unpleasant. After these emotionally difficult effects pass, patients experience a phase of introspection whereupon they feel emotionally open, calm, and empathetic, similar to the effects recorded from drugs like MDMA and other empathogens. At this stage, psychotherapists treating patients with ibogaine do their hardest work, discussing the experiences, feelings, and beliefs the patient holds about their addiction with the goal of coming to closure with these often negative, suppressive psychological issues. Most therapies using ibogaine focus primarily on the introspective phase, noting that the more emotionally vulnerable, open, and emotive a patient is about their addiction (usually seen as a shameful aspect of their life which this drug allows them to compartmentalize), the higher the likelihood that their desire toward inebriation diminishes. Beyond this introspective, psycho-therapeutic aspect of ibogaine, perhaps its most noticeable effect is the alleviation of opioid withdrawal symptoms. Ibogaine literally removes the gnawing, painful, sickening experience of withdrawing from heroin and other opiates which can normally last for up to seven days, something which methadone treatment seeks to prevent, not alleviate. In this regard, ibogaine is the most novel addiction treatment drug being researched today. But because the drug has historically been seen only as an exotic psychedelic drug from Africa, it was made a schedule 1 illegal drug in 1970 with the Controlled Substances Act, despite being an extremely esoteric, unheard of, non-researched substance at the time. There are currently 12 countries across the world that offer ibogaine treatment clinics, with illegally run clinics sprouting up in major U.S. cities like New York and Los Angeles. Only the future will tell about ibogaine's potential legal use as a heroin addiction treatment, but moving forward, hopefully ibogaine can offer a new, more effective form of treatment for patients willing to go through the grueling psychological and emotive process it seems to demand. Continually blocking change via the U.N.
Live From the 53rd Annual UN Drug Policy Meeting: Ready for the 21st Century? On the harm reduction/drug policy circuit party trek, it's time for the annual United Nations Commission on Narcotic Drug (CND) meeting in Vienna. This "select government only" gathering is fast becoming a party favorite for harm reduction and drug policy reform advocates. For those of you unfamiliar with the joys of the CND, it's the principal governing/policy-making body within the UN system on drug control issues. Last year's CND meeting, as you may recall from my posts at the time and plentiful major news coverage was a monumental to-do. Its purpose was to evaluate the goals and policies it set in 1998 -- which boiled down to the slogan "A Drug Free World: We Can Do It!" and the criminalizing approach known as the War on Drugs -- and make recommendations for the next decade. And how did it go, this review of the progress towards a drug free world foretold in 1998 to occur in 2008? (Basing this belief on interpretations of the writings of Nostradamus seemed a reasonable enough guide in 1998.) Did it acknowledge that the War on Drugs had been a costly, ineffective war on women, families, people of color, and the poor? A prison-filling proposition? During CND 2009 that failed 1998 goal of a drug-free world was never so much as mentioned let alone analyzed or redressed. Instead, without a hint of embarrassment, the meeting contented itself with lauding the "considerable"
is "a long way to go." The result? CND 2009 ended in chaos as 26 countries, mostly European but not only, broke the traditional consensus and publically distanced themselves from the final Political Declaration document. This final dramatic rift was the culmination of a year of wrangling over the inclusion of the words "harm" and "reduction" in consecutive order in the Political Declaration. Harm reduction represents a public health-oriented approach to drug use and is an addition to the arsenal of incarceration, crop eradication, and drug treatment. It works on an individual level by providing resources to drug users so that they can remain alive (overdose prevention, safe injection facilities) and disease-free (needle exchange). It recognizes that drug users have human rights and are entitled to a voice in development of policies and programs as they relate to their lives and liberty. It also seeks to redress the harm caused by current drug policy approaches. All of which makes perfect sense -- unless you're the CND. This is what a group of (mostly European but not only) countries found out when they attempted to move the CND out of the 16th century and into the 21st by challenging the traditional hegemony enjoyed by the US and other countries invested in the status quo, aka the War on Drugs. These more progressive harm reduction and public health-oriented countries stood their ground for as long as they could, pressing for a more balanced approach to global drug problems. 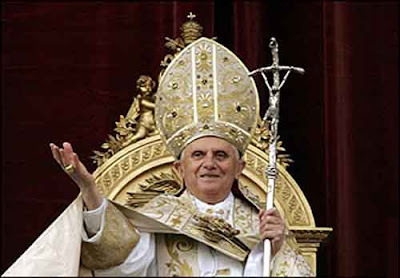 But it all came to a head when the Papal See (aka the Vatican, that bastion of clearly envisioned and enlightened heterosexist patriarchy), proclaimed harm reduction as an ungodly philosophy and rescued the world from progressing to a new century. Once the Pope came out, so to speak, the unity of the European bloc quickly cracked. Which is not to ignore the US' giant leap forward at last year's CND. Thirty years into the HIV epidemic, the US did take the step of announcing at every opportunity that it recognizes the validity of syringe exchange as an effective intervention for interrupting the spread of the virus. But it stopped there, finding the term "harm reduction" too vague and ill defined for its taste. This year's CND is destined to be less controversial than last. In fact, I'm willing to bet that the quiet insanity of earlier meetings is probably gone forever. Reform advocates now have the meeting marked on their calendars; they bring an intelligence and thoughtfulness to Vienna that had been lacking previously. Human rights are firmly on their agenda alongside a place and a voice for drug users themselves. And harm reduction as an issue won't go away. Like it or not, a number of the issues that were raised last year will appear in various resolutions to be presented this year. And then there's the universal access to HIV care resolution in support of this year's International AIDS Conference (to be held in Vienna, home of the CND). It includes the words "harm reduction" and explicitly recognizes the role of drug users as integral to any informed response to the HIV epidemic. The drafters of the resolution have defined harm reduction in line with a World Health Organization (WHO), United Nations Office on Drugs and Crime (UNODC), Joint United Nations Programme on HIV/AIDS (UNAIDS) Technical Guide to which the US has already agreed. So what's the US going to do this time around? Endorse the resolution, stand on the sidelines, oppose it, or try to water it down further? Anything less than full support would be a reflection as to how little progress has been made since President Obama's inauguration. It also suggests, should the Office of National Drug Control Policy and the Office of the Global AIDS Coordinator continue facing different directions, that there is not a consistent vision of an integrated HIV/drug policy within the US. It may be an overstatement to declare that this will be an interesting week. Still, it very well might be one. Stay tuned.